The human skin is termed as the largest organ of the body. With such a large surface area, it is not uncommon to encounter imperfections such as moles, skin tags, freckles and warts among others. For the most part, these imperfections are nothing to lose sleep over but other times they could be a gateway to serious conditions. 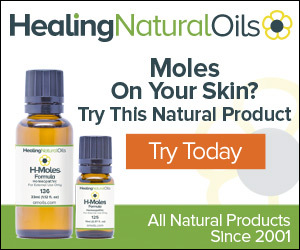 In this article, we will be tackling skin tags and moles. 1.2 What are Skin Tags? 2 Skin Tags Vs Moles: Which are more dangerous? Being able to tell the difference between dangerous skin lesions and harmless ones is important. As you well know, most of the conditions that start as skin lesions are treated more efficiently if discovered early. Moles are often black or brown raised or flat spots on the skin. They can appear anywhere on the skin and are usually approximately the size of a pencil eraser. Your skin gets its color from cells known as melanocytes. These cells occur individually throughout the skin giving you an even color. 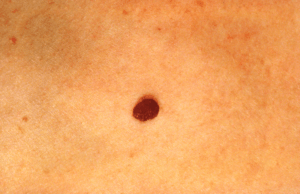 However, every so often, melanocytes cluster together resulting in a mole. Moles appear during childhood and early adulthood up to 25 years of age. It is normal for an adult to have 10-40 moles on their body. If you are of fairer skin, you are more susceptible to moles than a darker skin person. This is because you have less melanin in your skin. Exposure to the sun and hormonal fluctuations as experienced during puberty and pregnancy also increase the chances of developing moles. The importance of knowing the kind of mole you have on your body cannot be overstated. Moles are often linked to a form of cancer known as melanoma. Knowing your mole is imperative to keeping yourself healthy. This is the most common kind of mole. It is usually smooth, dome-shaped, brown or black with clear, distinct edges. Acquired moles develop during early childhood in areas that are often exposed to the sun. They are usually about the size of a pencil eraser and relatively symmetrical with uniform pigment. Acquired moles are not considered dangerous especially if they don’t change color or shape. These moles are present at birth. We often refer to them as birthmarks. They are caused by the epidermis (outer layer of skin) or the dermis (inner layer of skin). Congenital moles are linked to melanoma. If you notice a congenital mole, measure it to ascertain that it isn’t larger than a pencil eraser. Have a dermatologist check it for any irregularities and regularly check it for any changes in color or size. Dysplastic moles are large irregular-shaped moles that are potentially cancerous. They have lighter blurry edges and darker centers. Some are flat while others are raised.If you notice this kind of mole on your skin, have a dermatologist check it. The fact that you have a Dysplastic mole does not automatically mean that you will get melanoma. However, the more Dysplastic moles you have the higher the risk of developing melanoma. Check if one half of the mole resembles the other half. A harmless mole should have clear borders. Fuzzy borders are a cause for concern. The typical mole should not be larger than 5-6mm or the diameter of a pencil eraser. Regularly check your mole to see if it is changing in size. Changes in size are a cause for concern. Skin tags are small skin protrusions that hang from the skin on a tiny string called a peduncle. They are soft, painless and often malignant. Skin tags are very common. Statistics say that almost everyone has had a skin tag at some point in their lives. A skin tag is essentially blood vessels and floppy collagen fibers surrounded by a bag of skin. Collagen is a type of protein that is found on your skin. Owing to the fact that a skin tag is attached to the skin by a tiny stalk of flesh, it is not uncommon for skin tags to twist on their own accord. This cuts the supply of blood and nutrients to the tag and ultimately it dies and falls off. Skin tags appear in areas where there is friction. It could be skin-to-skin or skin-to-cloth friction. These areas include the neck folds, armpits, buttock folds, groin folds, under the breasts (especially women), eyelids, and thighs. The most susceptible people to skin tags are men and women of above 50 years, people suffering from obesity and type 2 diabetes, and pregnant mothers during the 2nd trimester. Skin Tags Vs Moles: Which are more dangerous? As aforementioned, skin tags are largely non-cancerous and therefore perfectly safe. On very rare occasions do skin tags turn cancerous. Moles, on the other hand, are only considered safe if you have been cleared by the dermatologist. You need to keep a close check on your moles and especially apply the ABCDE rule of thumb. If your skin tags or moles are malignant you don’t have to treat them. That being said, if you find your tag or mole to be a nuisance, you can get rid of it by use of pharmaceutical creams. Top of the list is the Skincell Cream. This cream is known to remove all types of skin lesions including moles, skin tags, warts, and freckles among others. Our appearance is the first impression we give before ever uttering a word. Keeping a clean healthy skin goes a long way in putting your best foot forward in the world. Skin Tags Vs Warts – How Skin Tags Differ from Warts?